The Amigo Bravo 12 XL Medium Turnout Rug is designed to fit horses with a larger build and ensure they're comfortable whilst in thier rugs. Amigo XL rugs are cut 20% deeper with a 20% deeper neckline as well making them perfect for chunkier horses requiring extra coverage. 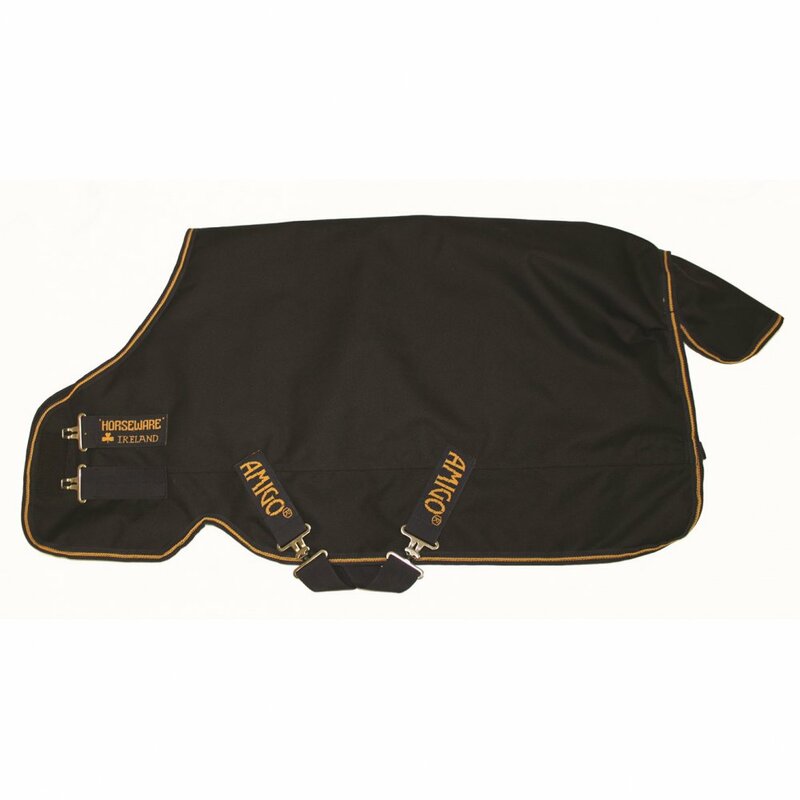 The Bravo 12 XL Medium Turnout has a 1200 denier polyester outer with 250g fill and shine enhancing polyester lining. There is also a neck cover available to purchase seperately for this Amigo XL Turnout.